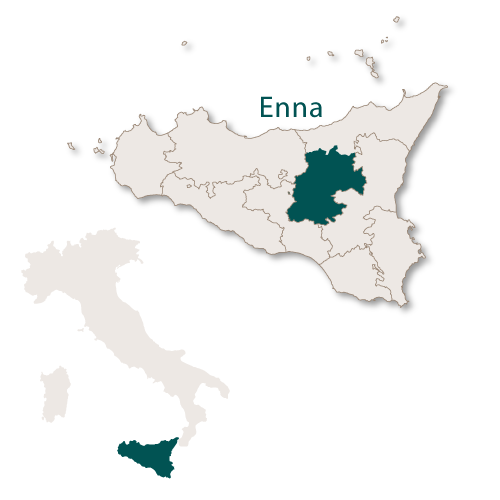 The province of Enna is a landlocked area in the centre of Sicily and covers an area of 2,562 sq.km. It borders the province of Messina to the north, the provinces of Palermo to the west, the province of Caltanissetta to the west and south and the province of Catania to the south. The province is mainly hilly with some low mountainous areas and small plains and reasonably sized lakes, only one of which, Lake Pergusa, is natural. There are many natural reserves and it is an area well known for its production of citrus fruits. 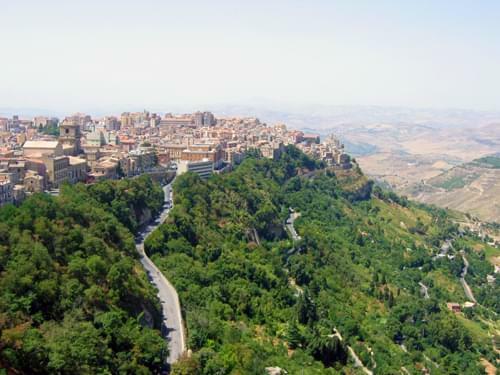 The capital city, Enna, lies at 900 metres above sea level and is the highest provincial captial in Sicily. The second city of the province of Enna, by population, is Piazza Armerina.